WAREHAM, Mass. 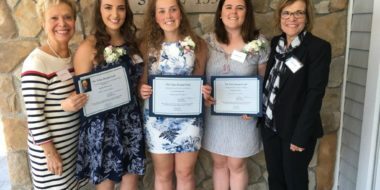 — Southcoast Health announced today that the Tobey Hospital Guild has awarded $3,000 in college scholarships to three Greater Wareham students who are pursuing a career in healthcare. 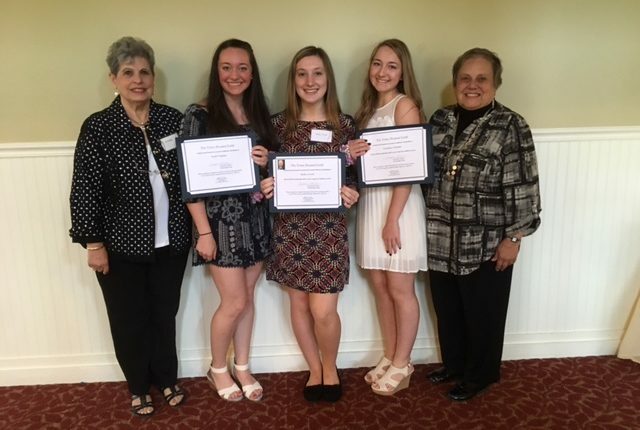 The Guild presented a $1,000 scholarship to a trio of outgoing high school seniors during its annual luncheon held May 25 at Bay Pointe Country Club in Buzzards Bay. 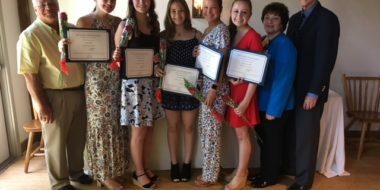 The awards were presented by Josephine Praino, Scholarship Chair for the Tobey Hospital Guild. Hailey Newell, also a West Wareham resident and recent Upper Cape Cod Regional Technical High School graduate, will study to become a physician’s assistant at Franklin Pierce University. 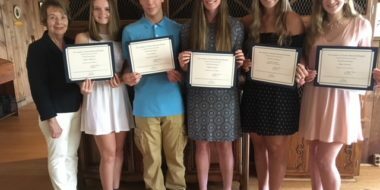 She was honored as the recipient of the Lenard Martone Scholarship, which was created by his wife in his loving memory.